When looking for an Andover Photographer to get photos of a Cake Smash, you don't have to look far. Located in Reading Massachusetts, Cordele Photography travels on location and is right down the road. This is the perfect example of a custom cake smash set. She wanted farm feeling with the overalls and so the wood background was perfect. 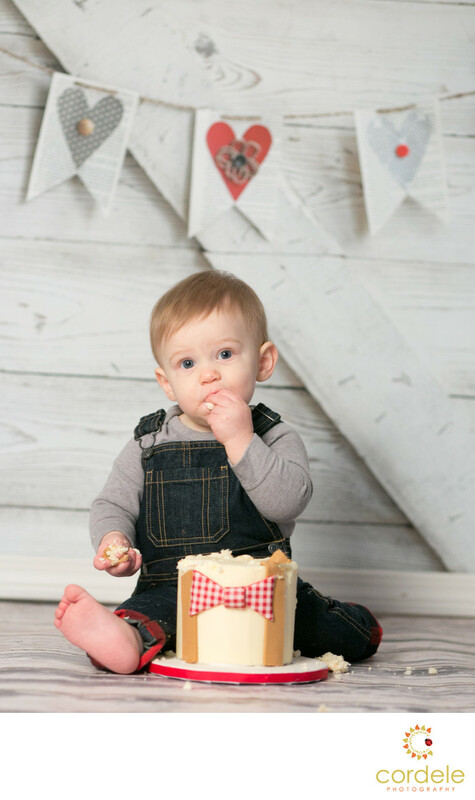 This little guy wore overalls while he dug into his suspender cake with a bow tie!